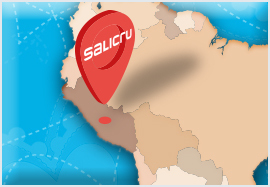 Salicru Peru is the new international subsidiary of our company in the Andean country. It is a market that has experienced significant growth since it began operating in 2014 and is now seeking to consolidate itself with a more local service for its Peruvian customers and the development of new product ranges. In just four years, Salicru has established itself as a market-leading power electronics company in Peru, particularly notable for its marketing of UPSs. A range of products that is intended to be complemented by DC devices and low-voltage electrical transformers. With the creation of this new subsidiary, Salicru is consolidating its presence in Latin America and strengthening its overall visibility in foreign markets. It already has its own subsidiaries in countries of the likes of China, France, Hungary, Morocco, Mexico and Portugal. A strategy that has enabled it to gain a foothold with its products in more than 60 countries.